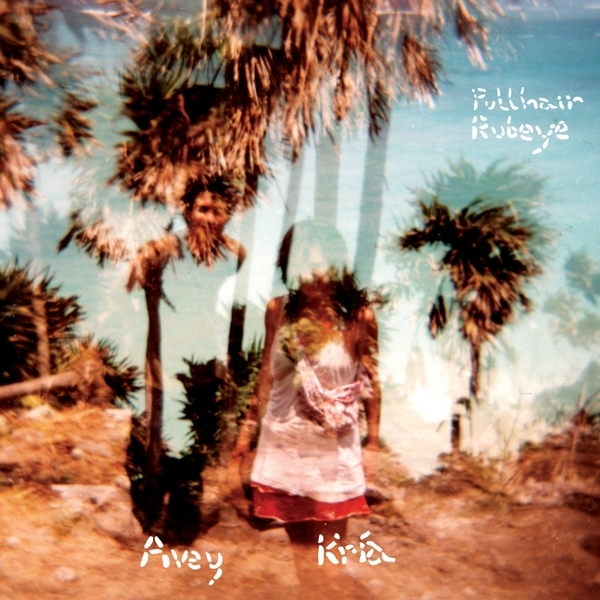 Pullhair Rubeye is the debut collaboration by Animal Collective's Avey Tare (Dave to his mates) and Kria Brekkan (aka Kristin Anna Valtysdottir, formerly of Icelandic electronica stars, Múm). The two musicians started playing music together in the summer of 2005 and have since shacked up and tied the knot, so you can probably expect to be hearing quite a few more collaborative ventures from them in the future. The duo recorded Pullhair Rubeye using guitars, a piano, an eight-track recorder and most prevalently, the use of their own distinctive vocal abilities. The album (almost in its entirety) is treated with backwards effects and reverse tape trickery, as a result you can't help but wonder what it would all sound like the other way around, as they recorded it. As 'backwards' records go this is hardly of the sinister Judas Priest-style demonic incantation variety. In truth, this music is performed with an overwhelming sense of optimism and breezy experimental cheer, as befits the Paw Tracks family. Consequently, the indisputable weirdness of this music is given a sense of accessibility, and you really get a sense that you're being allowed insight into someone else's secret world. Absolutely lovely.